Greetings, Offbeat Brides (and Grooms)!!! 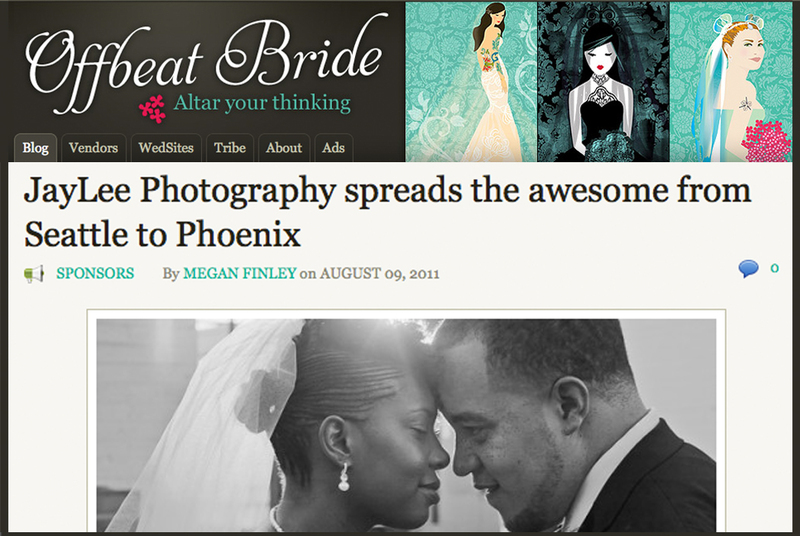 We’re pretty jazzed to be featured on OffbeatBride.com today, and wanted to show you crazy kids just what freebies we’re givin’ out to all the obb readers that book us for their weddings and unions. This bad boy is our version of a guestbook, chock-full of photos from your engagement session and just enough room for your guests to scribble in some well-wishes in between. The cover is your smiling faces printed on actual canvas, which makes for some pretty big Cool Points as well. We’re throwing this in, compliments of JayLee Photography, for every obb reader that books us for their shindig (just make sure you mention/reference obb!!!). We are SO looking forward to hanging out with you!